The most feature packed carrying case by Vexilar! 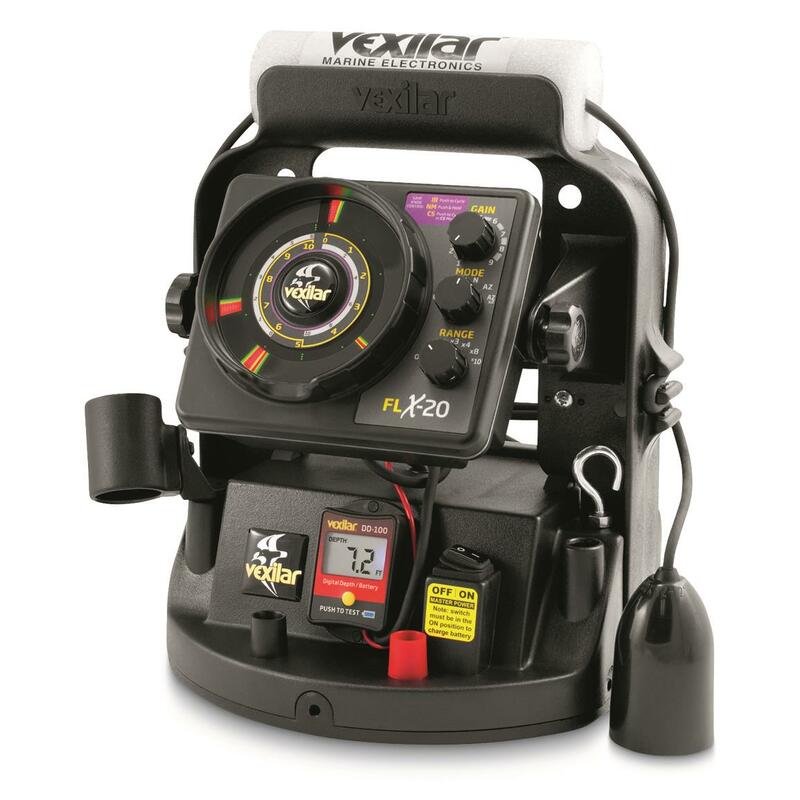 Make better use of your five-gallon fishing bucket by pulling a Vexilar Ultra Pack Fishing System with FLX-20TM Flasher out of it. Everything you need to find more success ice fishing fits on this compact, nearly-indestructible holder. The innovation starts with a 12V, 9-amp hour battery enclosed in the case along with a master power switch and additional power posts. The carrying case powers a FLX-20 Flasher with two AutoZoom zone options and an increased viewing angle during day or nighttime use. The simple to operate FLX-20 uses the patented Ice-Ducer® with self leveling transducer and a 20' Low Power range setting for use in shallow water or thick weeds and Power Saving Technology to give you more operating time. The Pro Pack II is specially designed to fit inside a five gallon bucket and includes built-in features such as an adjustable rod holder, tackle box, cable cleats and spots for optional accessories.